Confirmation Candidates should be attending Mass regularly as well as attending youth group. To receive the sacrament through our program the following must be completed. Catechesis – Candidates will be responsible for attending catechetical classes – we are using the program Decision Point from Dynamic Catholic. Candidates will be allowed 1 unexcused absence. The meetings will be held at St. Patrick’s Family Life Center on Sundays from 5:00 – 6:30pm. See calendar for dates. Retreat – Candidates will be expected to participate in one retreat during their preparation. Terre Haute Youth Ministry – Candidates will help in one of our service opportunities – Trick or Treat for the Poor, Thanksgiving Baskets, Christmas Baskets, Service Opportunities, St. Benedict’s Festival Youth Booth, Fundraisers, etc. Confirmation Interview – Each candidate will meet with one or both of the youth ministers to go through a brief interview. Candidate/Sponsor Day- Candidates and Sponsors will come together (about a week before the sacrament takes place) for a rehearsal as well as a time of formation as a pair. For Confirmation preparation we are using the program Decision Point. This is a program from Dynamic Catholic which was founded by renowned speaker and author Matthew Kelly. 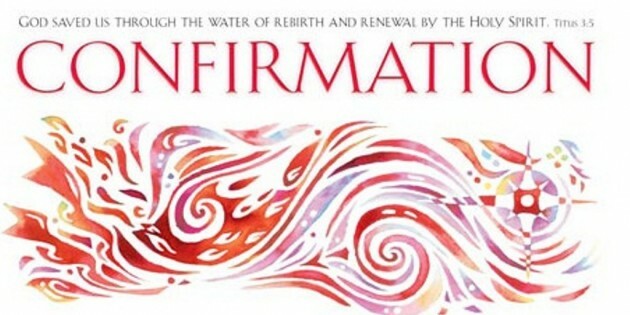 This is a DVD and workbook based series designed to be a comporehensive look at the Sacrament of Confirmation in light of the Catholic Church. Kelly's simple, yet engaging speaking style has captivated millions through his various books and speaking engagements. He brings that same simple and engaging style to this Confirmation program as well. Classes will meet for 14 sessions throught the year beginning in late August or early September and run through April of the next year. We will meet on Sundays from 5:00pm to 6:30pm. Be sure to check the calendar for the dates and places of the meetings. Each teen will be put into small groups to make the process more intimate and real. Questions? Contact the Youth Ministry office!